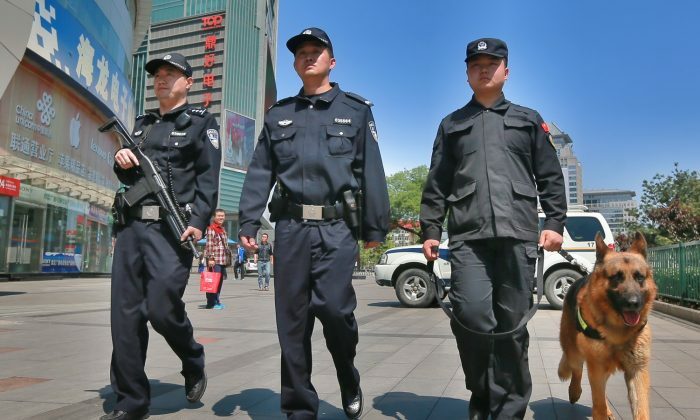 Chinese leader Xi Jinping has plans for a big shake-up in China’s security apparatus. After all, the country’s police force, judges, prosecutors, and all legal enforcement were once controlled by officials belonging to an opposing faction loyal to former Party leader Jiang Zemin. Xi allies and the Jiang faction have been in a bitter power struggle in the five years since Xi became head of the Chinese Communist Party (CCP). One way their tug-of-war has played out is in the Central Political and Legal Affairs Commission. Under Jiang’s rule, it became a powerful institution that oversaw all aspects of the country’s security apparatus. After Xi took power, he first stripped the Commission of its powerful position by leaving the agency’s head out of the Politburo Standing Committee—the CCP’s top decision-making body. The Commission, however, continues to be staffed by Jiang faction officials. Following the 19th National Congress when the Party’s leadership personnel gets reshuffled for the next five-year term, on Oct. 31, the Commission announced its new head, Guo Shengkun. Guo, part of the Jiang faction, will step down from his current post as the head of the Ministry of Public Security, the agency in charge of all 3.5 million police (including armed police) in China. Guo’s replacement will be Zhao Kezhi, a known Xi ally. Zhao’s appointment means that for the first time since Xi took power, the Ministry of Public Security will be under his domain. Current affairs commentator Li Linyi notes that although Xi appointed many of his allies to the top positions, including to the Politburo Standing Committee, there are also some Jiang loyalists who got promoted, suggesting that Xi had to compromise in his battle with Jiang. But while Guo’s promotion to the Central Political and Legal Affairs Commission seems like a point scored for the Jiang faction, Li said Xi’s 19th congress opening speech may have hinted at what Xi really has planned. In a speech laying out his vision for the future of the Party, Xi had mentioned establishing a “leadership group” that will ensure the rule of law, to be led by central authorities. Li observed that Xi may intend to have this “leadership group” control all legal affairs, and did not rule out the possibility that Xi himself may command this contingent. Another Xi ally, Ying Yong, was also newly appointed as chief justice of the Supreme People’s Court. 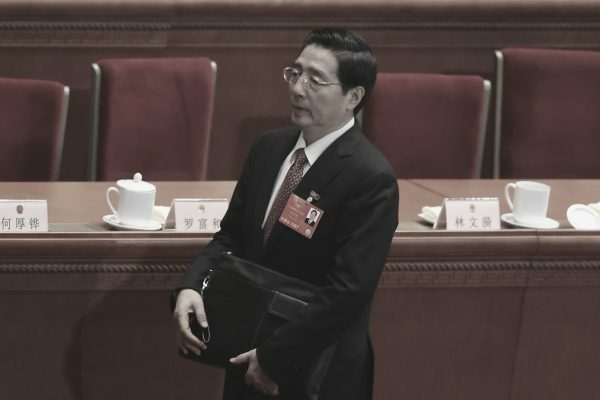 With both Ying and Zhao heading important organs in the CCP’s legal system, Guo—despite his allegiance to Jiang—will likely have to submit to Xi, Li predicted. Meanwhile, Zhao gave clear signals of his support for Xi and vice versa, during a meeting of Party members in the Ministry of Public Security on Nov. 1 when his new position was announced. 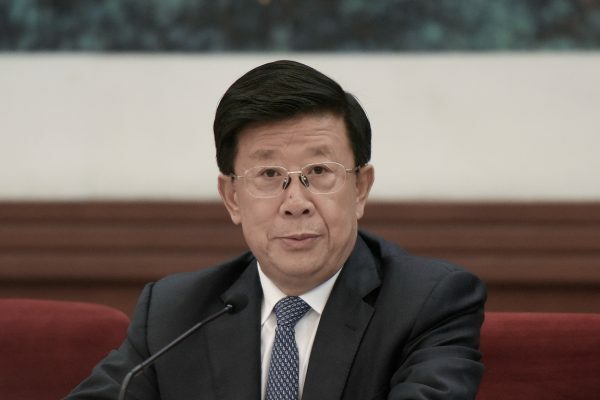 Zhao gave a speech where he urged the CCP members to “maintain a high degree of unanimity” with the authority of Xi, and “resolutely purge Zhou Yongkang’s poisonous influence”—referring to the former head of Central Political and Legal Affairs Commission who was sentenced to life imprisonment on corruption charges. Zhou was a powerful Jiang ally and was named in a briefing given at the 19th National Congress as a conspirator in a coup plot aimed at Xi. Behind Zhao was a banner with Xi slogans. Commentator Zhou Xiaohui said the message was clear to the audience: Zhao, with the backing of Xi, will be purging the Ministry. The Central Political and Legal Affairs Commission (known as “zhengfawei” in Chinese) was established in 1980, but it did not have much power until Jiang Zemin took over. Under his rule, the Commission became a powerful entity, encompassing the whole country’s security apparatus. For the past two decades, it has been supervised by Jiang faction officials: Luo Gan, Zhou Yongkang, and Meng Jianzhu. Rule of law was rendered naught as they commanded the Commission however they saw fit. When Zhou was in that position, he executed the persecution of the spiritual meditation practice Falun Gong—a directive from his boss, Jiang—with impunity, mobilizing police, courts, and prisons to arrest, detain, imprison, and torture Falun Gong adherents. And when Guo Shengkun was head of the Ministry of Public Security, he was also complicit in the persecution. According to a report by the nonprofit, World Organization to Investigate the Persecution of Falun Gong, Guo had personally approved the arrest and detention of a practitioner, Feng Guoyun, in Jinan City, Shandong Province, in 2014. Several high-profile human rights lawyers were also harassed and imprisoned during Guo’s time as police chief. Since Xi took power, he has downgraded the power of the Commission. Zhou was taken down under Xi’s anti-corruption campaign. The Commission has also been stripped of many important duties, and local offices of the agency will be shut down by year’s end.